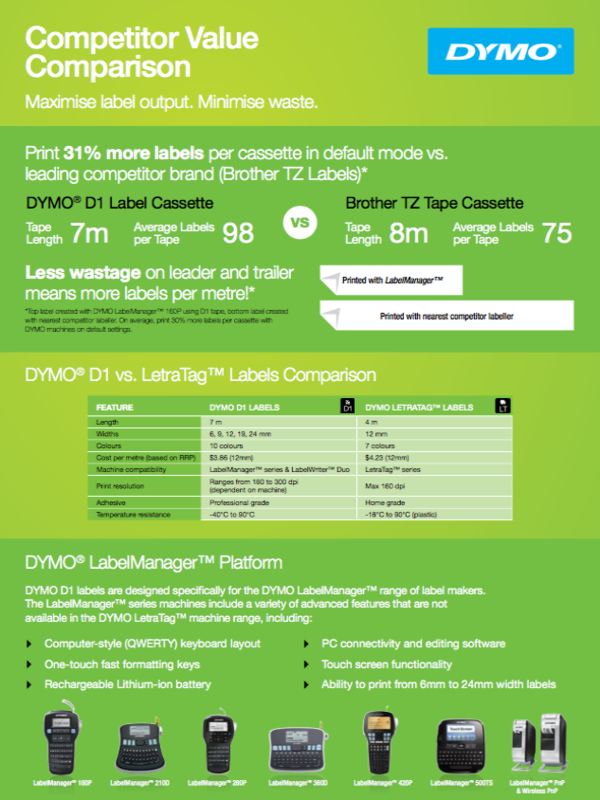 Created specifically for your LabelManager™ and LabelWriter™ Duo label makers, DYMO D1 labels offer the performance and variety you need for most labelling jobs.They adhere to most clean, flat surfaces – including plastic, paper, metal, wood and glass – and feature easy-peel backing for trouble-free application. 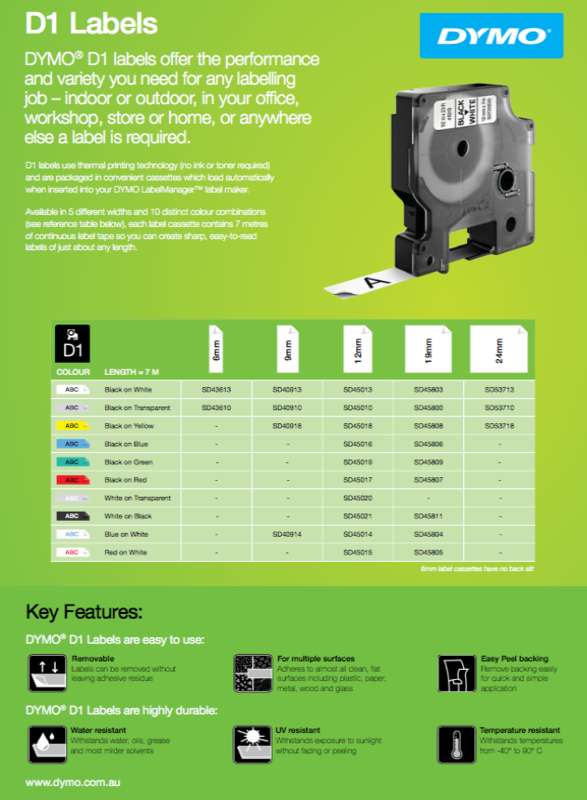 Versatile, durable and available in a wide variety of widths and colours, D1 labels take the hassle out of home and office organisation. 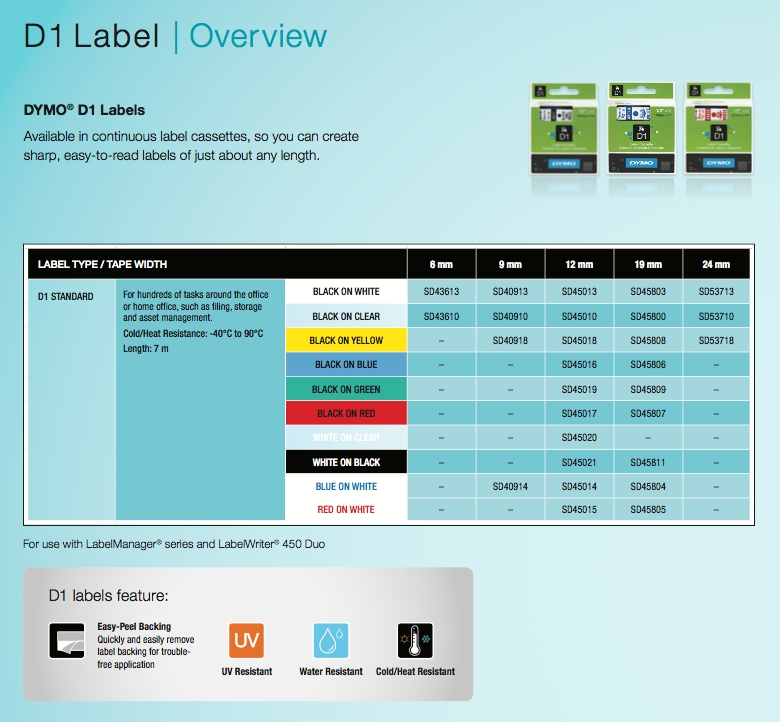 (SD45013 12mm Black On White Pictured Above).